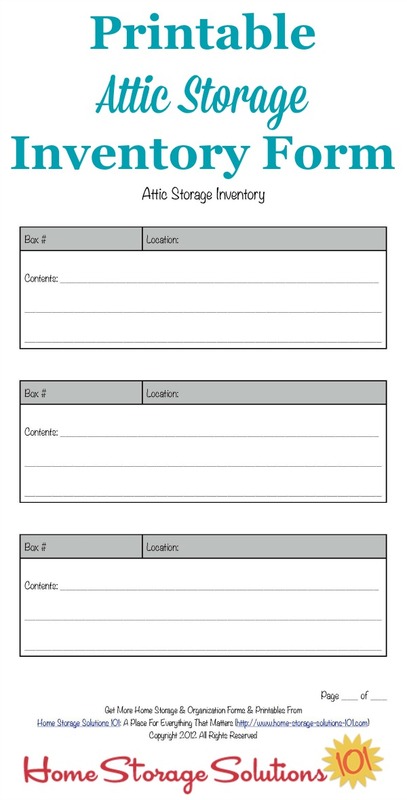 Use this free printable attic storage inventory form to keep track of what you've got stored in this area of your home, for both short and long-term storage. Attics are a great place to store items in your home, but let's face it, they're hard to access so they aren't designed for short-term storage. Instead, they're designed to store items in your home that you don't plan to access too often during the year, such as holiday decorations or other seldom used items. The fact that we're all human means we'll often forget exactly what is stored up in the attic over time. That's where an attic storage inventory comes in handy. 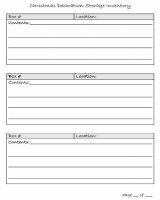 Once you fill out this form you don't have to try to remember what's up there anymore, because you can just read the list and know. 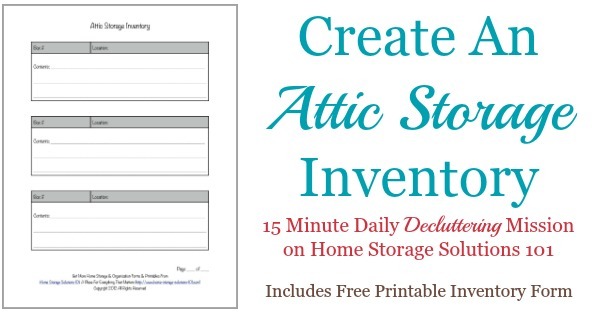 To use this form well, I suggest you fill it out as part of the Attic Organizing Challenge here on the site, which is part of the 52 Weeks To An Organized Home Challenge. As part of the challenge you'll first declutter your attic, and then organize what's left. As part of that organization process you'll carefully label boxes and other storage containers that you'll continue to store in the space. Of course, these labels are pretty small, and can only have so much information on them. 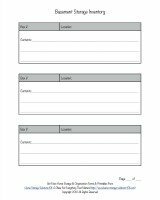 Therefore, make sure to put a number on the label, and then you can add additional information to the form sharing, in more detail, what is stored in the container. Further, the form prompts you to fill out the approximate location of the various boxes or other containers you'll store in your attic. This can help you not have to search everywhere for it, but instead just in one more concentrated area. 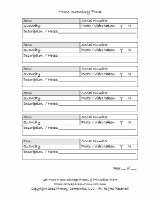 Once you've filled out the form you need to keep it in a safe place where you can access it, when needed. You may want to keep one copy posted on a clipboard within the attic itself, and another copy with your other home inventory forms, or in your home management binder.